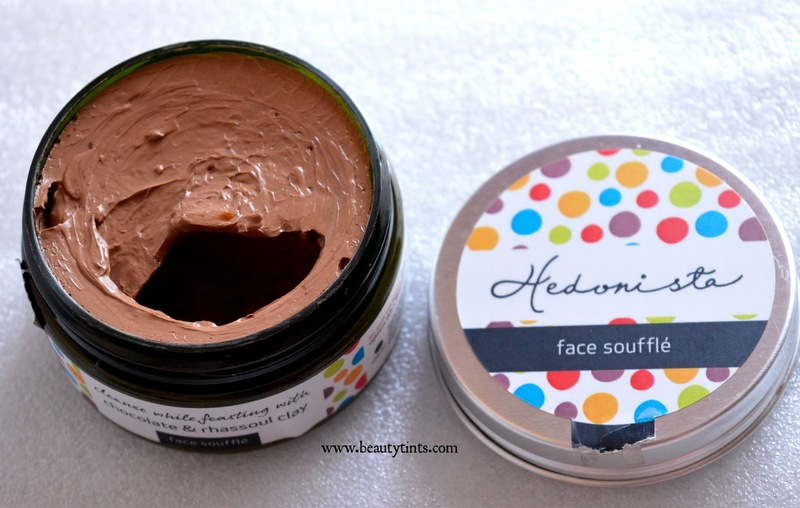 Sriz Beauty Blog: Hedonista Face Souffle Review!!! 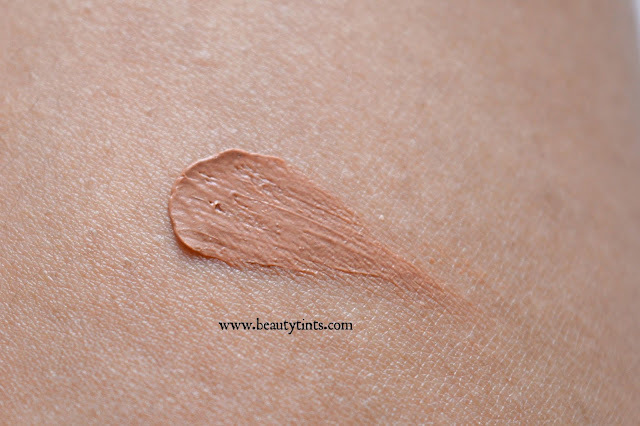 Today I am back with a wonderful yummy (not edible though) product,which is Hedonista Face Souffle with Chocolate and Rhassoul Clay.I am reviewing this as a part of Face Pack series,though it is quite different from the usual face packs.I have received this in June 2015 edition of My Envy Box!I have been using this once in a week from past 2 months and I love the result it gives!!! 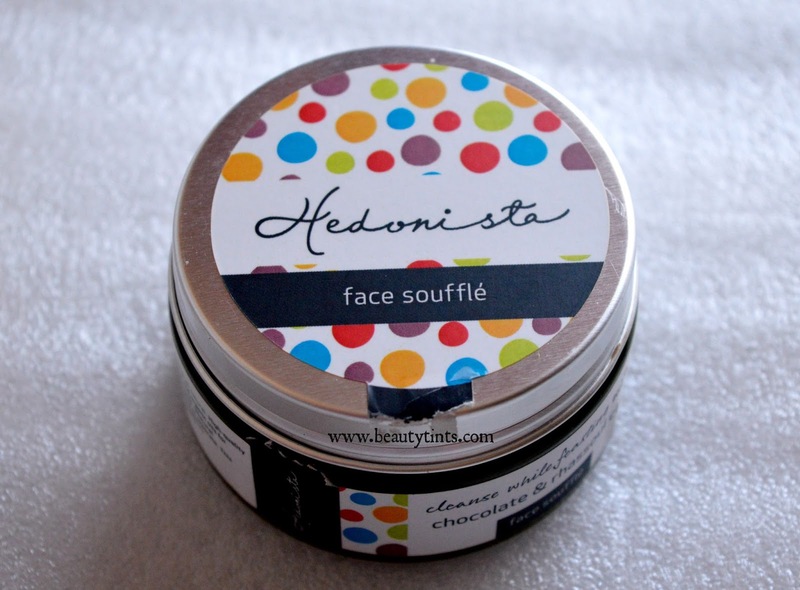 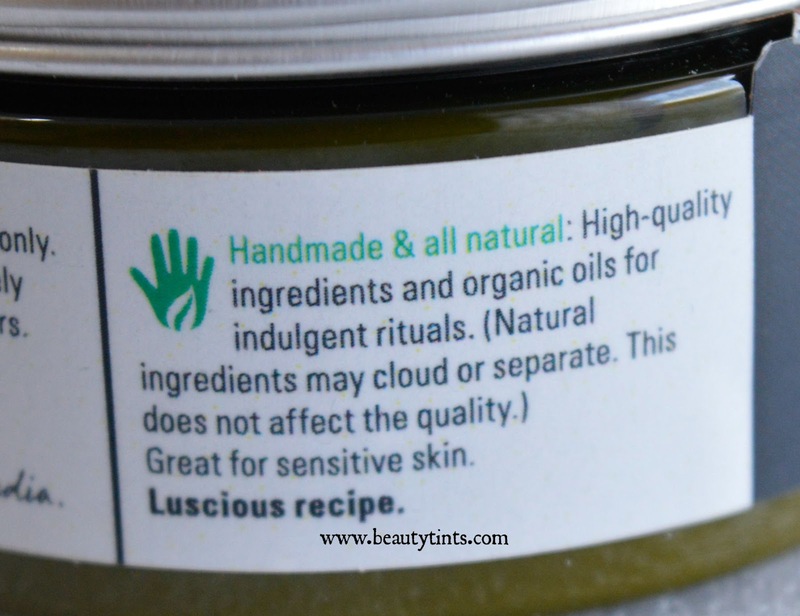 Hedonista was founded with the firm belief that natural and sustainable products can be fun and luxurious, too.Our products are handmade, all-natural and cruelty-free. 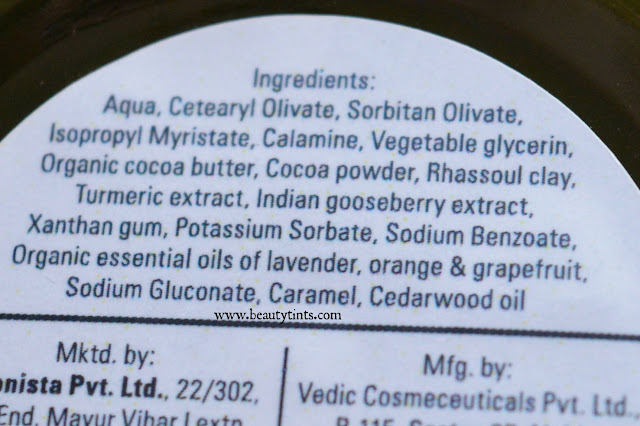 From seed to husk, we respect our ingredients and say NO to artificial colourants, fragrances and flavourings, Sulphates, Silicones, Parabens, Petroleum derivatives, Phthalates, Amines, PEGs and Formaldehyde.Each ingredient, sourced from top-quality suppliers, is combined to create formulations that pamper, nourish and restore the body. 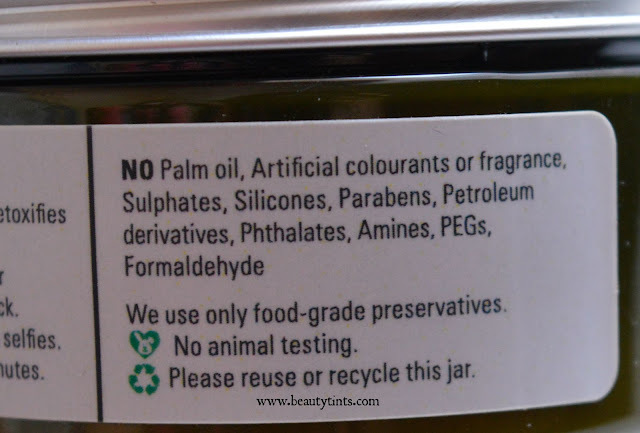 is completely recyclable too. 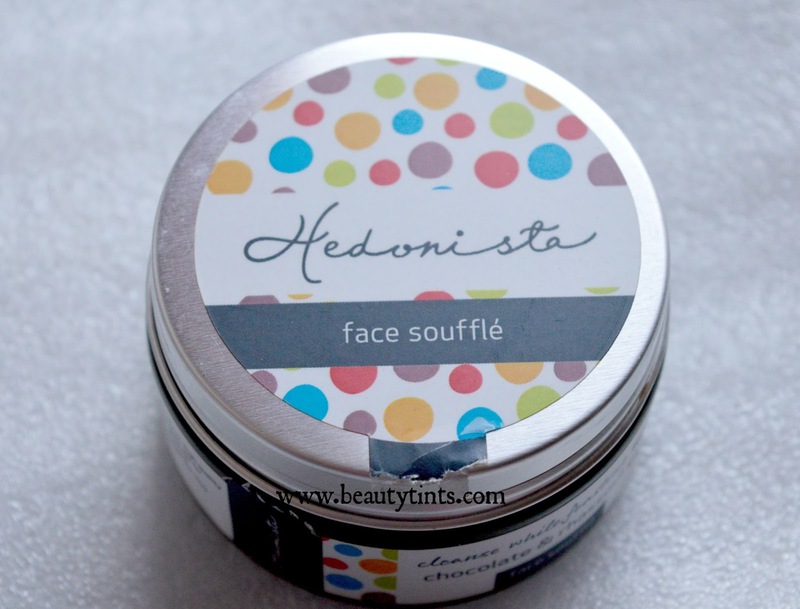 Hedonista tin jars have been designed for an afterlife in your home. 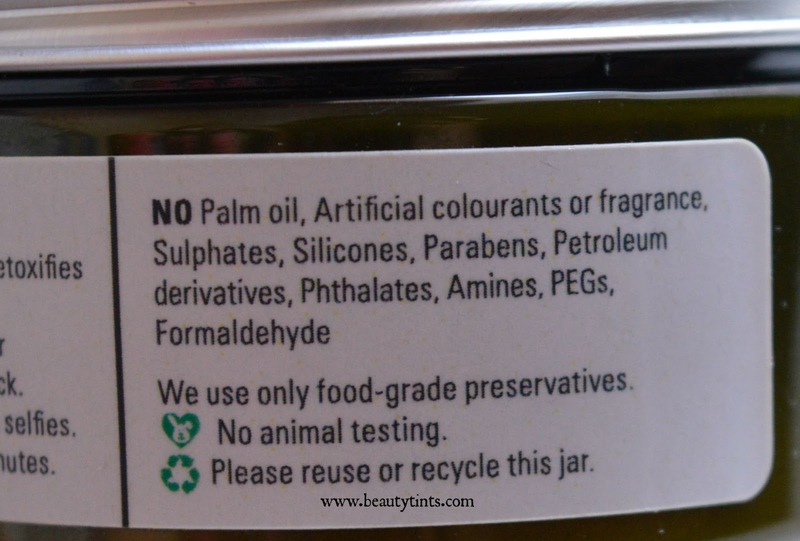 Simply soak them in water overnight to peel off the labels and use the jars as you wish. Packaging : It comes in a cute reusable dark green colored translucent tub packaging with colorful labels over it with a aluminium screw cap. 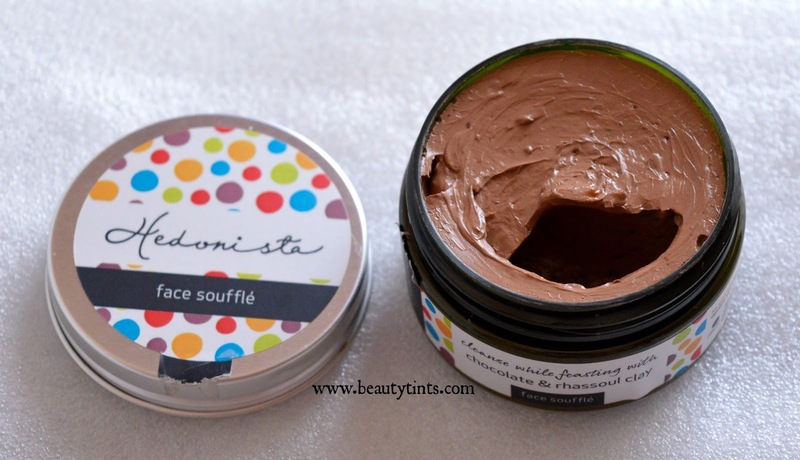 Color and Texture : This is a brown colored souffle,which looks and smells similar to Chocolate mousse. 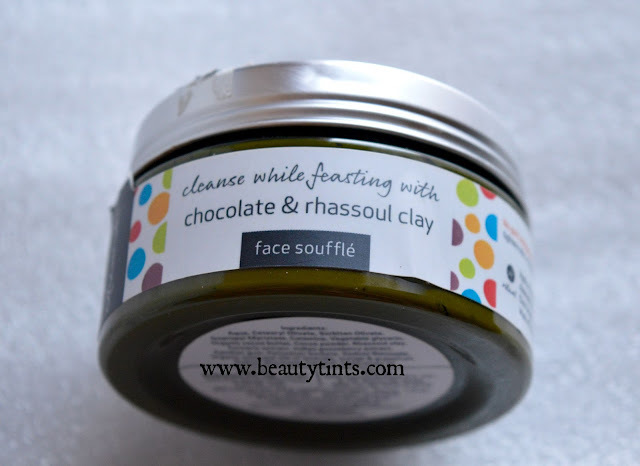 This decadent elixir of chocolate and rhassoul clay cleanses your skin inside out, then imbues it with nourishment. 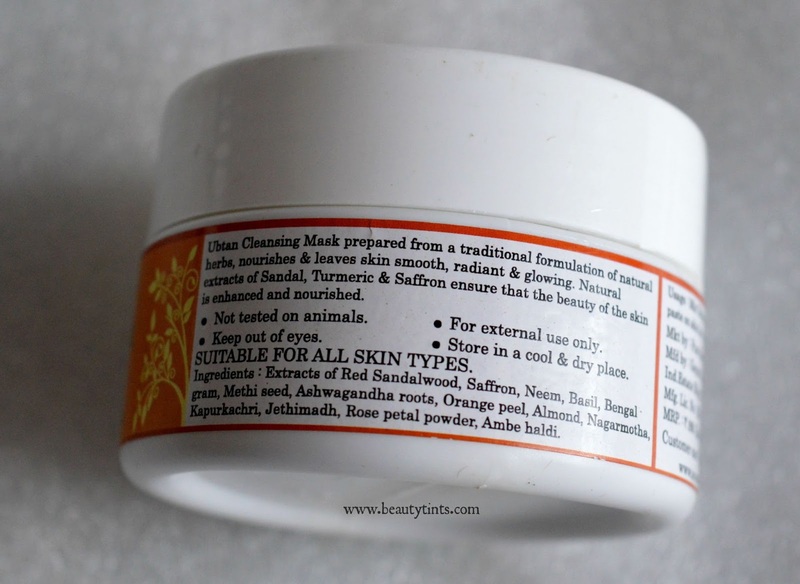 Directions : Apply a thin layer over cleansed face and neck. Click ‘Oompa-Loompa’ selfies. 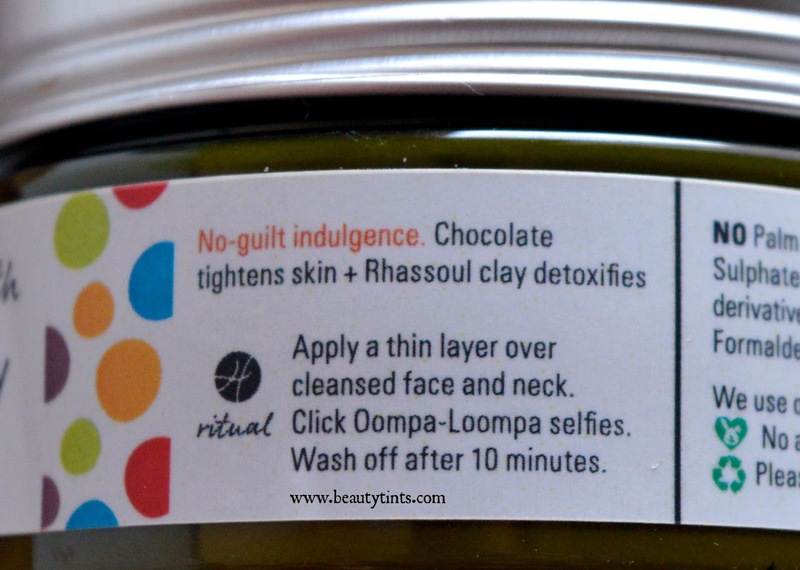 Wash off after 10 minutes. 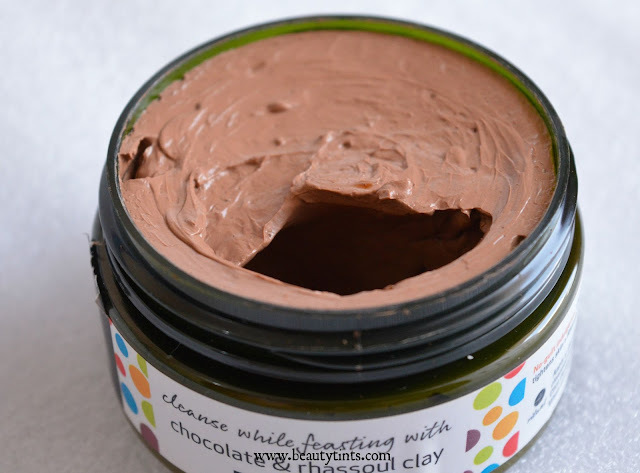 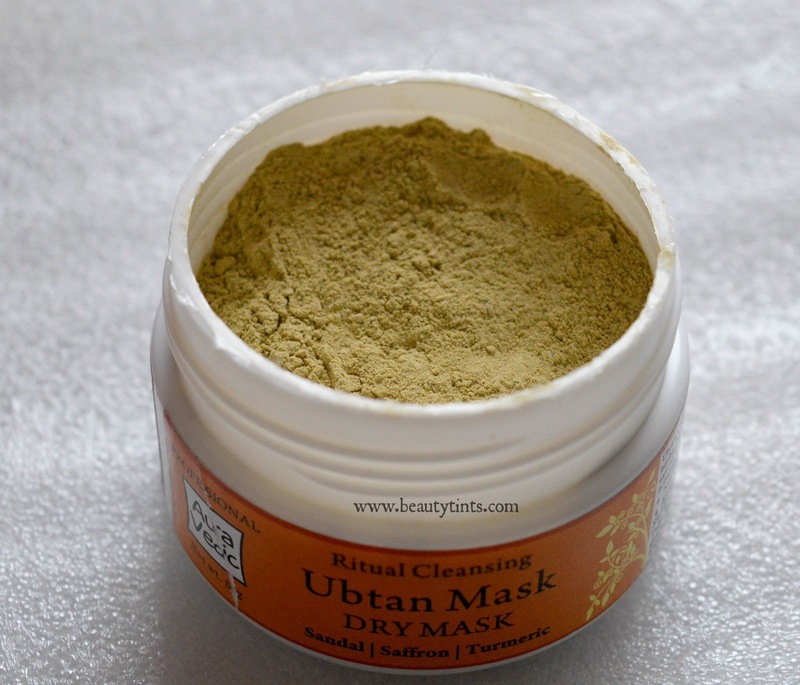 My View On the Product : This mask has a mousse consistency and spreads softly on the skin easily and has a delicious chocolate fragrance.I prefer to use it on a cleansed face while it is still wet,as it dries pretty fast and I like to keep it on the face for long time.It gets rinsed off quite easily with out much effort.It makes skin super smooth and supple.It hydrates the skin well and can be used as an emergency fix for dry patches on the skin.It nourishes the skin well and give a deep cleansing effect to the skin.It doesn't irritate the skin or cause breakouts but if you have angry break outs or dry patches,it gives a mild tingling sensation,immediately after application and after few seconds it subsides.It does not give any stretchy feel to the skin.This Face Souffle is enriched with the goodness of many natural effective ingredients like Organic cocoa butter, Cocoa powder, Rhassoul clay, Turmeric extract, Indian gooseberry extract,Organic essential oils of lavender, orange & grapefruit, Caramel, Cedarwood oil etc., and is free from harmful ingredients like Palm oil, Artificial colourants or fragrance, Sulphates, Silicones, Parabens, Petroleum derivatives, Phthalates, Amines, PEGs, Formaldehyde.It suits all types of skin and can be used for all seasons. 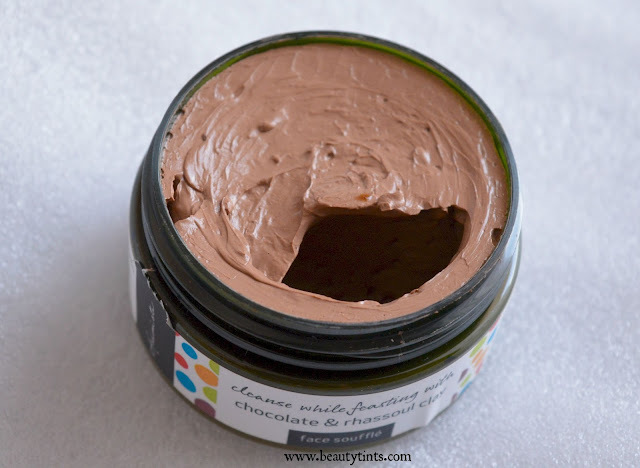 Final Conclusion about Hedonista Face Souffle : Those who love to indulge themselves and pamper their skin with the goodness of Chocolate should definitely try this!! !